Okay. So it’s been way too long since I’ve updated. 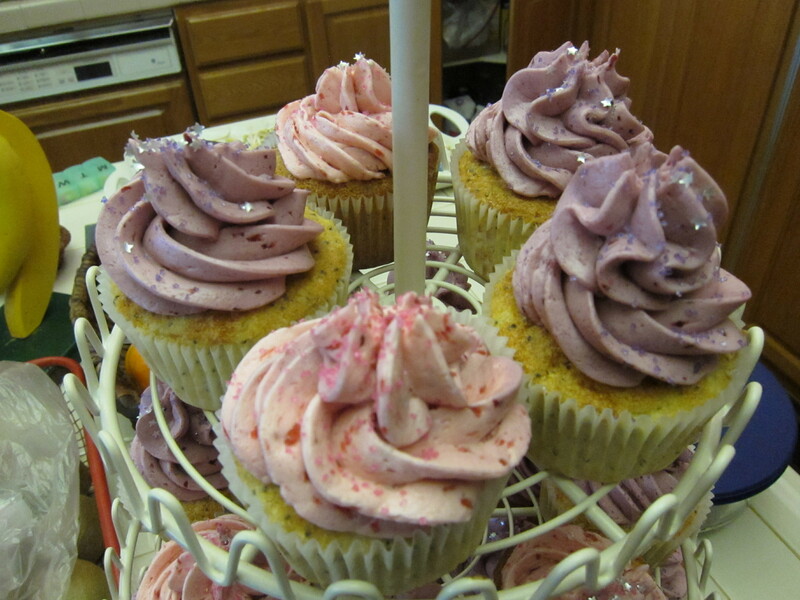 But, I have been baking! So get ready to see a bunch of updates! Alright, so voila! 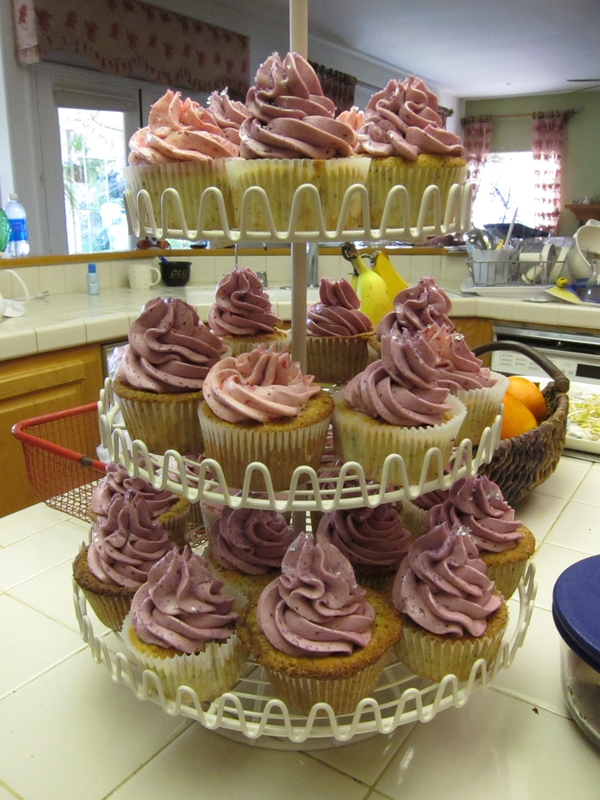 Lemon Poppyseed Cupcakes topped with Blackberry Buttercream. Okay so first, preheat the oven to 350 degrees. 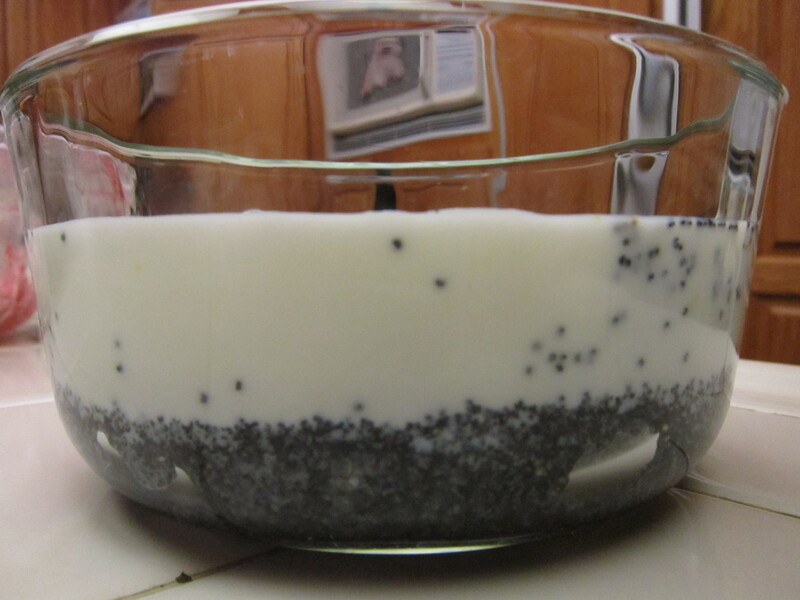 Then, take 1/3 c poppy seeds and soak them in 1 c buttermilk for 30 minutes. Okay so put egg whites into a bowl and let them become room temperature. 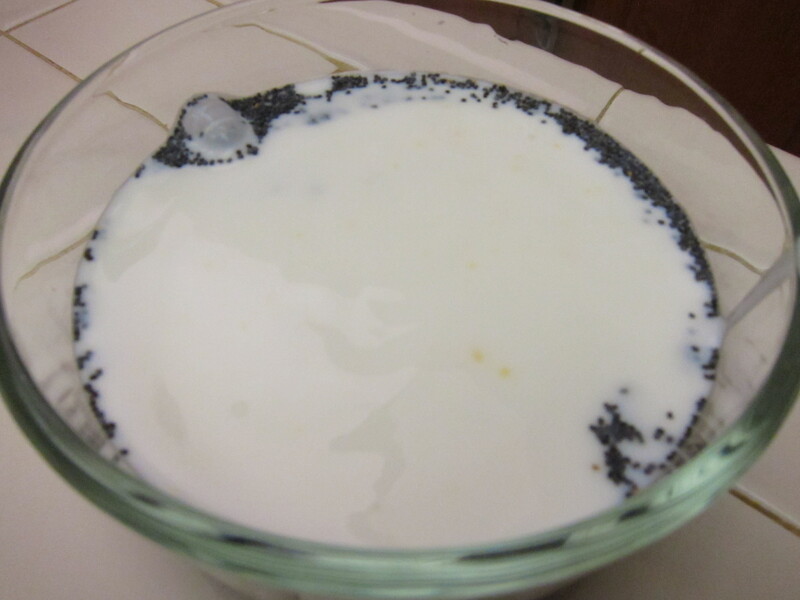 In a different bowl, mix together the flour, baking soda, salt and baking powder. Beat the shortening and sugar until light and fluffy. 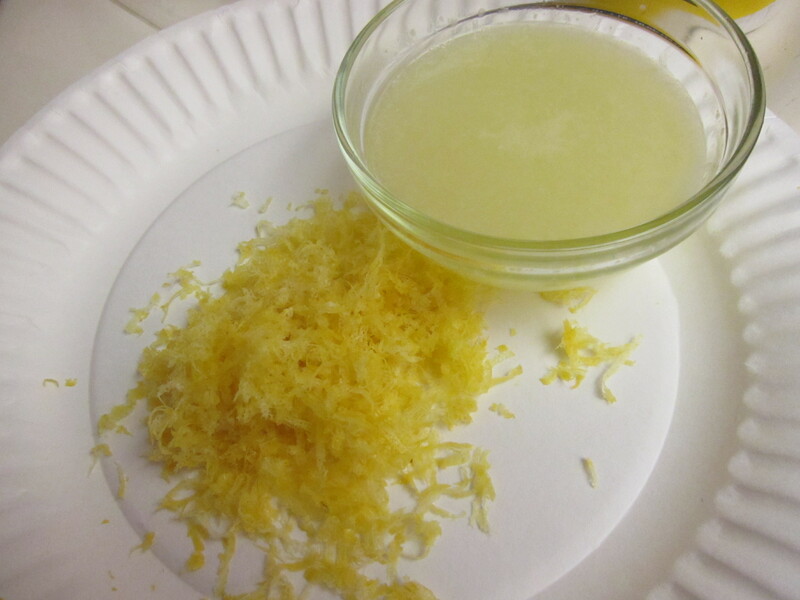 Then beat in the lemon juice and zest. 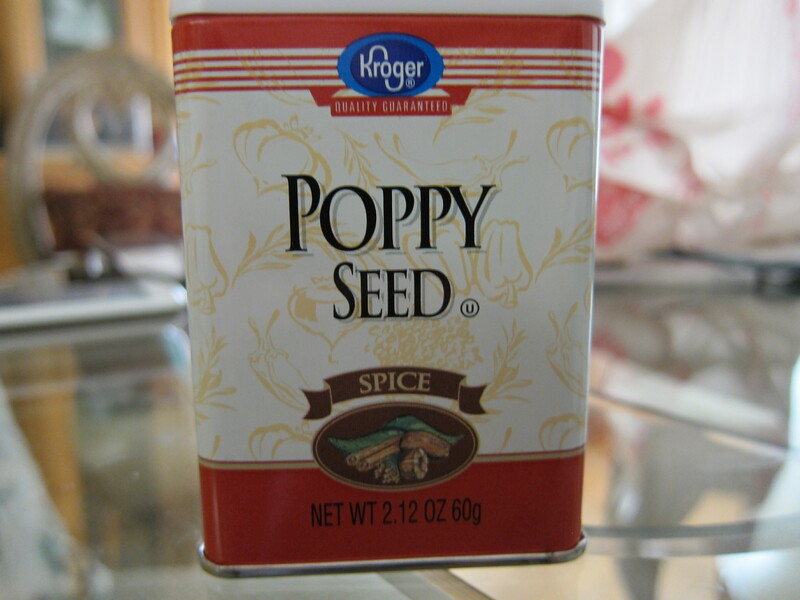 Once that is incorporated, alternate the poppy-buttermilk mixture and flour mixture. Whip the egg whites until light and fluffy and fold it into the batter. 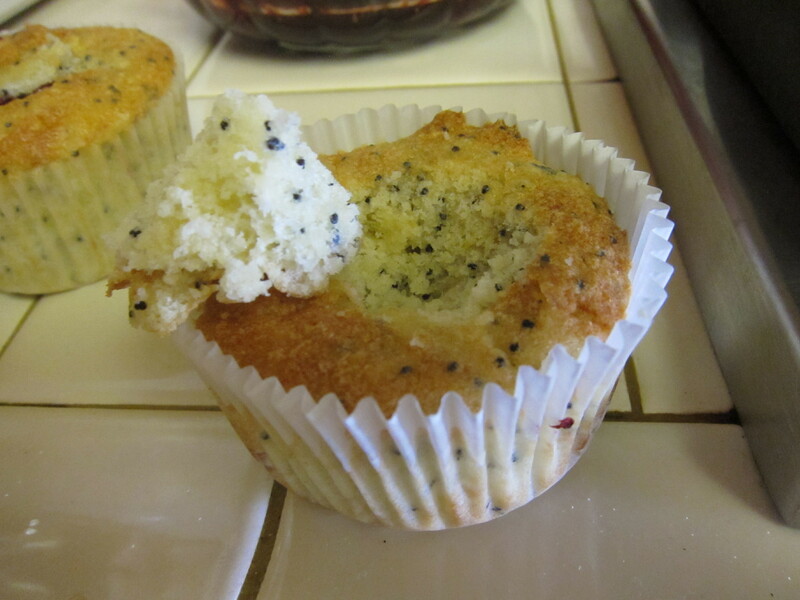 Evenly divide the batter into lined cupcake tin and bake for 20-25 minutes. 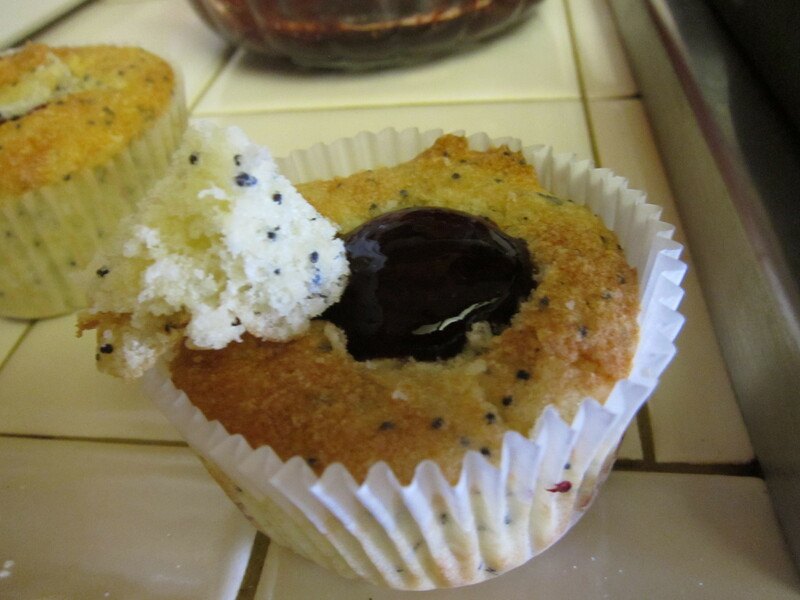 Once they’re done, let the cupcakes cool and make the black berry compote. 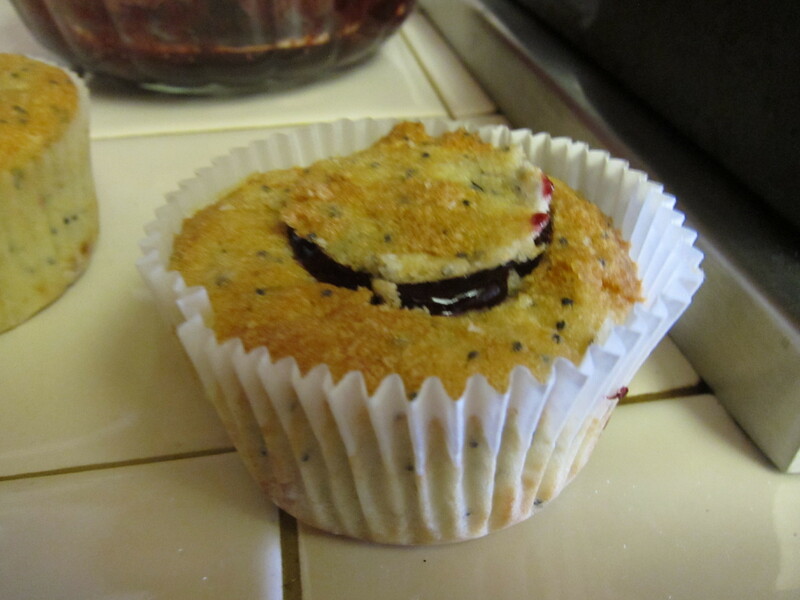 Take your blackberries and mix in a food processor. 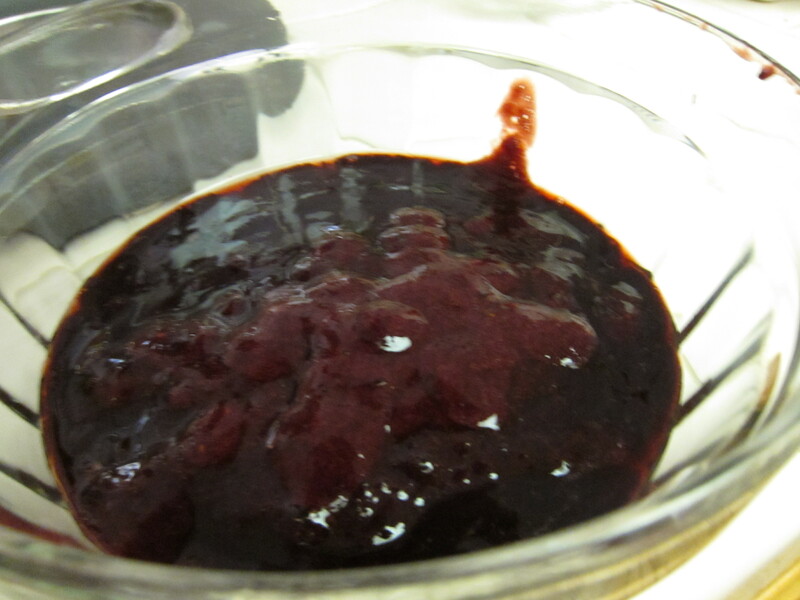 Take a sieve and strain the seeds from the blended blackberries. 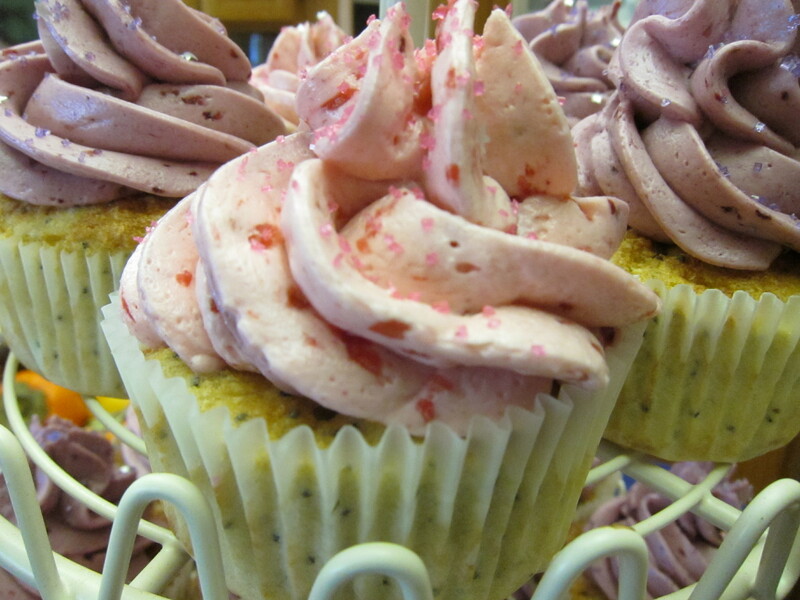 Okay now onto the blackberry buttercream. Go ahead and make our staple swiss meringue buttercream by mixing the egg whites and sugar in a double broiler until the sugar has dissolved. 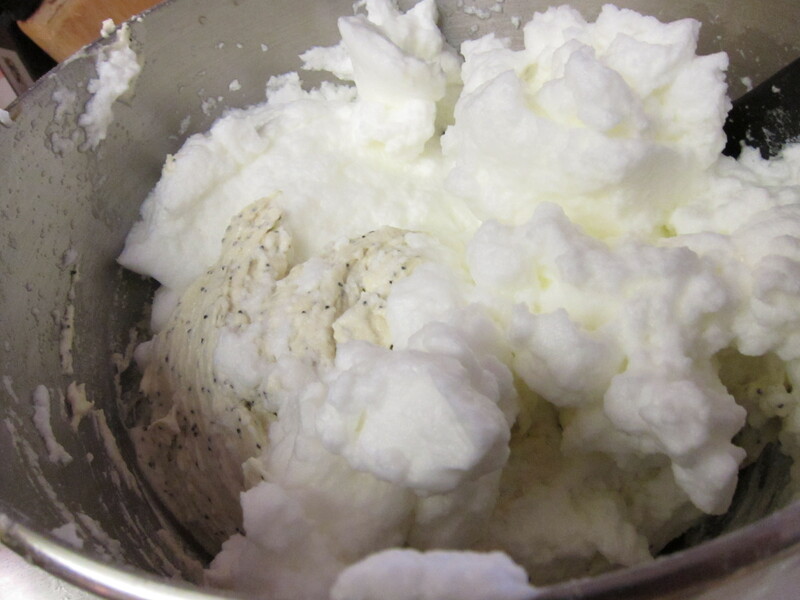 Then whisk the egg whites till stuff and fluffy, about 10 minutes. 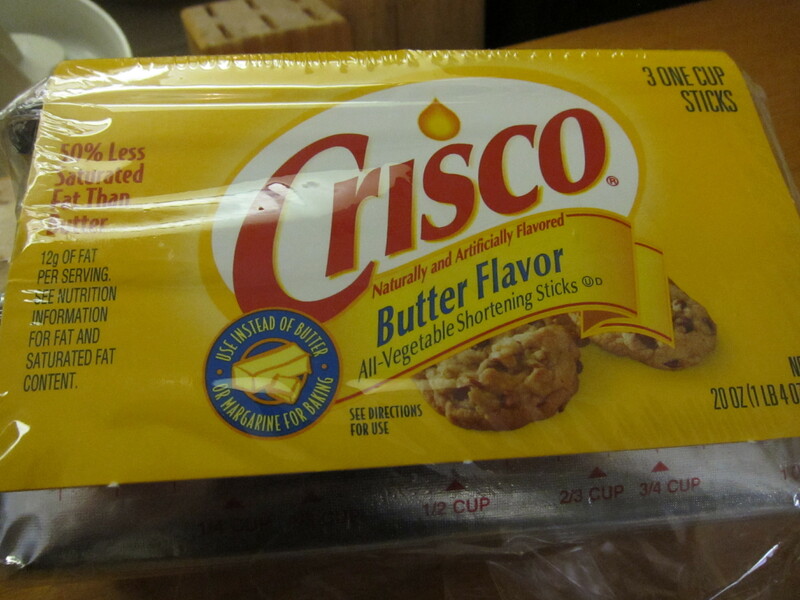 Slowly add room temperature butter until it is all incorporated. 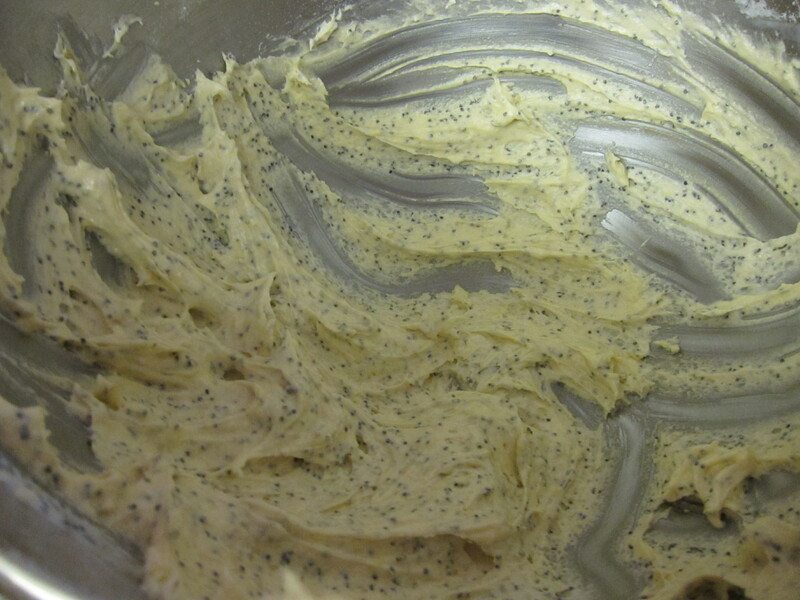 Then switch to the paddle attachment until the buttercream gets fluffy and all the clumps have been beaten out. 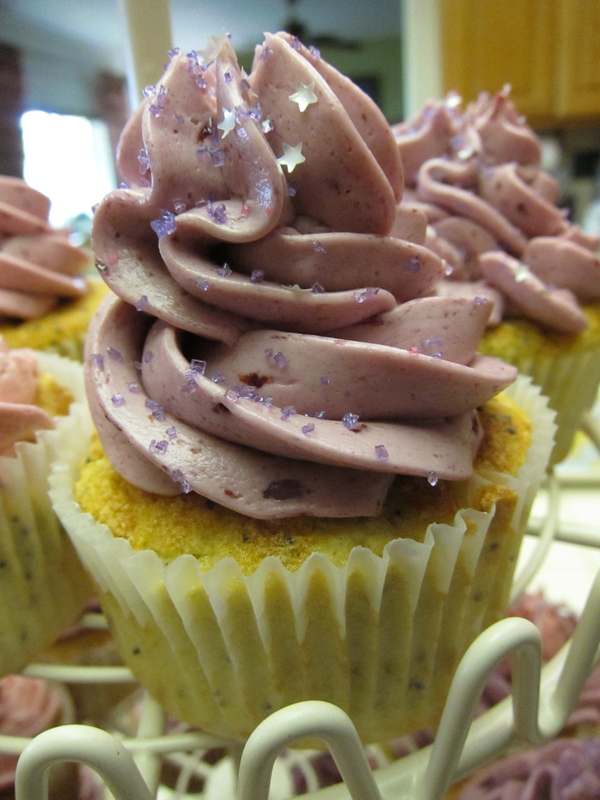 Take a cup of the blackberry compote and slowly incorporate it into the buttercream. It turns into a really pretty violet color. 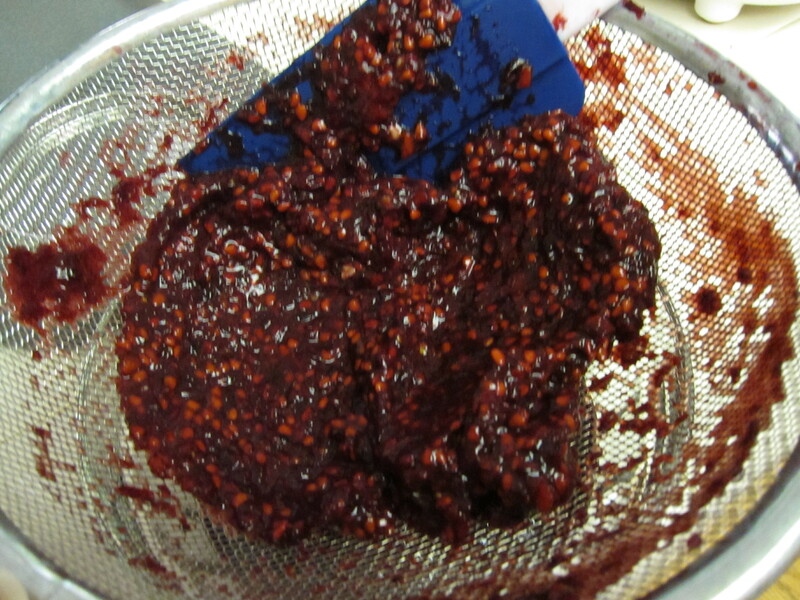 Fill the holes with the leftover compote and then top them again. Okay here are the recipes!